Temperatures plummeted to a near freezing cold in Florida, for the first time in 25 years. The blizzard brought in harsh conditions that forced residents to stay indoors and avoid traveling. The heavy snow and gusty winds had an impact on locals, as schools closed, flights canceled and in many areas roads were closed. Florida and its subtropical and its humid climates are completely foreign to these blizzard conditions. Floridians do encounter cyclones, but they are tropical cyclones and they get their energy from warm temperatures. Bomb cyclones, on the other hand, gets its impact from cold and warm weather colliding. Residents were not ready for these low and freezing temperatures, which brought in 3 inches of snow, but as the National Weather Association advised, locals did their best to prepare. Since Florida doesn’t experience storms often, the city isn’t equipped with ice trucks or ice equipment. Howling winds caused weird things in Florida, as residents walked into their backyards and on the streets only to find strange things, creatures like iguanas and sea turtles lying around. As the storm intensified around the East Coast, people took measures to protect their families and homes at the peak of the storm. Water contains unique elements in it, so when it freezes, it expands and puts pressure on metal and plastic. This is why it’s important to insulate your pipes in freezing temperatures. 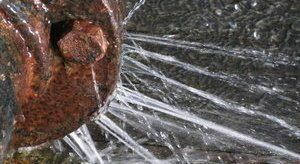 Once pipes freeze, the likelihood of a pipe burst becomes very likely and costly. If you can’t purchase a ‘heat cord’ roll up ¼” of newspapers and wrap it around pipes in non-heated areas. It will provide a significant amount of warmth and barrier against freezing weather. Though temperatures are starting to rise warmer than what they were a week ago, it is still important to be prepared with a plan, portable generator, emergency kit, batteries, and non-perishable foods for at least 5 days and enough for 3-5 people. Make sure you have a water repellent coat, gloves, scarf and warm hat.